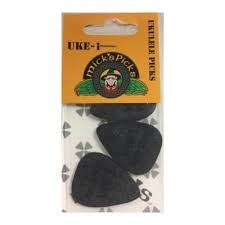 Mick’s Picks is the maker of the UKE-2 pick, the #1 composite material ukulele & bass pick sold in the USA. 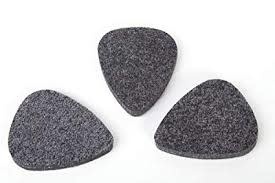 UKE series picks are made from an exclusive Flextex composite material that makes for a durable and flexible pick that feels great in your hand and actually enhances the tone quality of nylon stringed instruments. These are not the typical thick, hard chunks of felt some other companies sell.